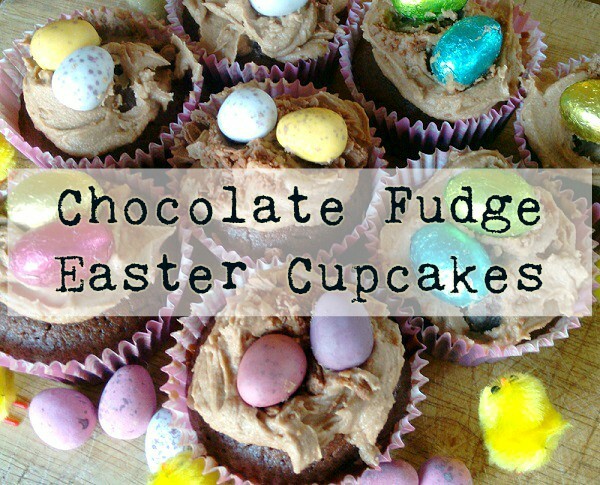 These Chocolate Fudge Easter Cupcakes are easy and delicious to make with the children. 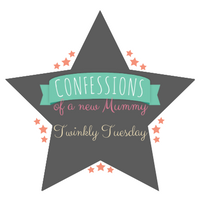 The simplicity of throwing everything into a bowl and mixing it meant Mabel did the majority of it. They turned out so perfect and the thing I like about this recipe is that you can adapt it to different peoples tastes. Some people have used a different type of sugar or made buttercream for the top, and with the decorations, well you can use whatever you like. 1. 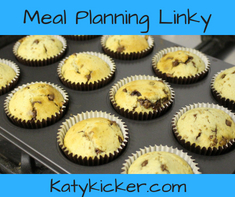 Heat oven to 190°C and pop the cake cases into a cupcake tin. 2. 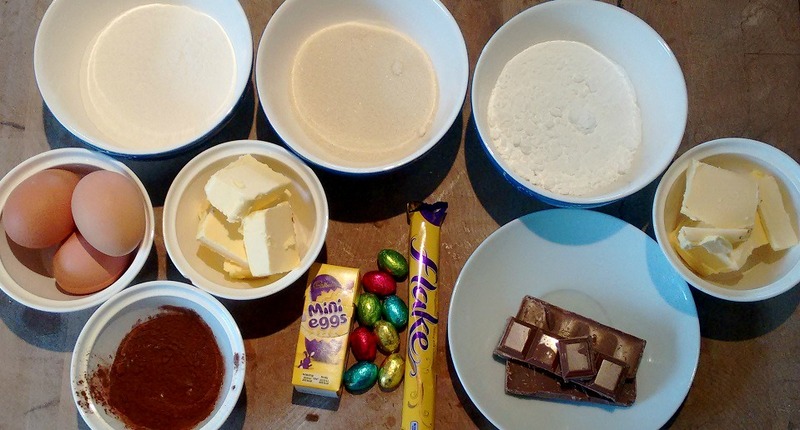 All the cake ingredients put into a bowl and using an electric whisk, mix for 2 minutes. Divide the mixture between the cases filling to two-thirds of the way. Bake for 12-15 minutes then leave it to cool on a wire rack. 3. Melt the chocolate either in the microwave or in a bowl over a pan, then cream the butter and sugar together. 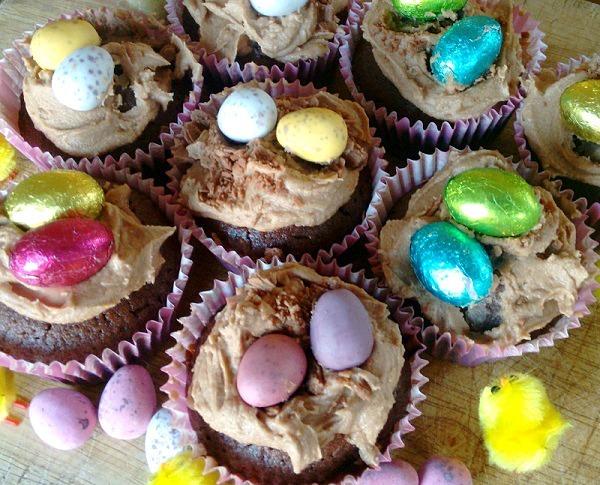 Beat the melted chocolate into the creamed mixture and spread over the cupcakes.4. Now it’s time to decorate.